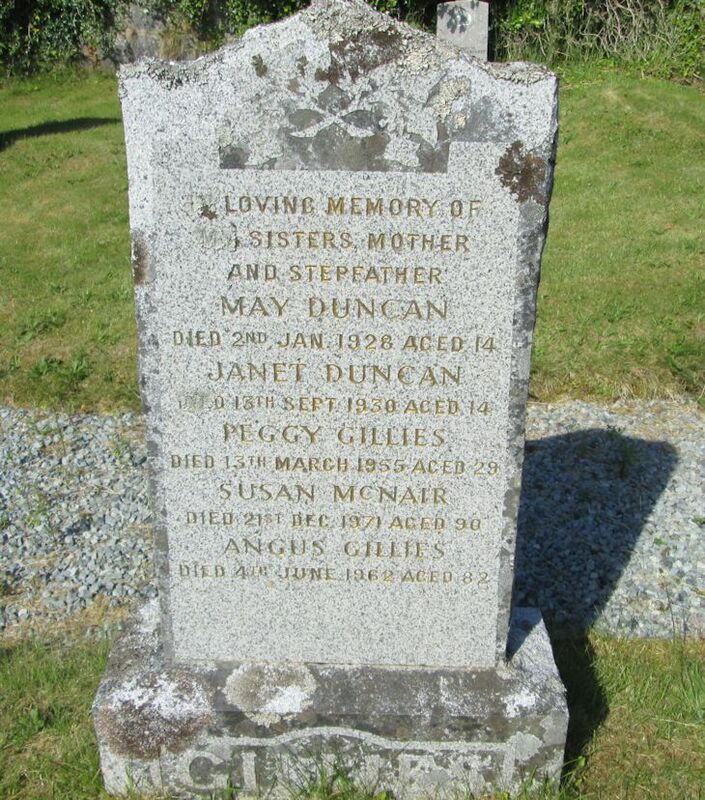 Skye Gravestones | May & Peggy Duncan, ds, of Susan (McNair) Gillies. May & Peggy Duncan, ds, of Susan (McNair) Gillies. In loving memory of/my sisters, mother/and stepfather/MAY DUNCAN/died 2nd Jan. 1926 aged 14/JANET DUNCAN/died 13th Sept. 1930 aged 14/PEGGY GILLIES/died 13th March 1956 aged 29/SUSAN McNAIR/died 21st Dec. 1971 aged 90/ANGUS GILLIES/died 4th June 1962 aged 82.